Hello 2016! Let's be friends who have pancakes together. 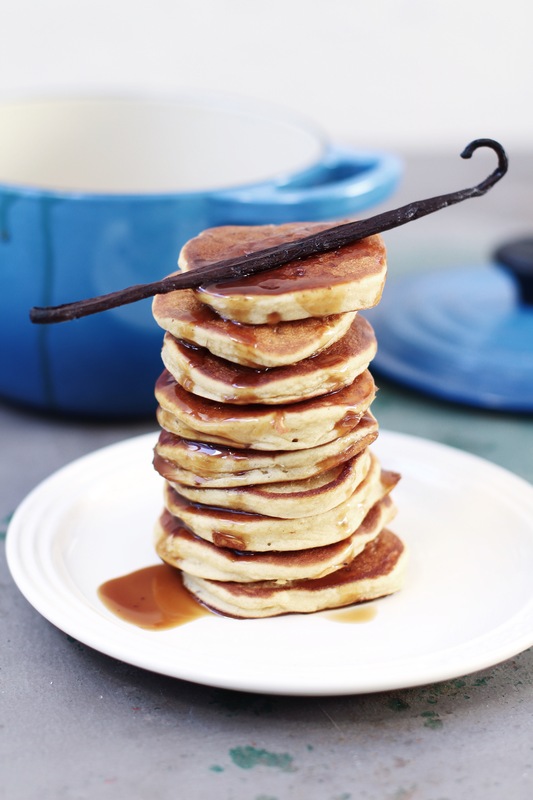 These pancakes / flapjacks are just the best way to start a new year. 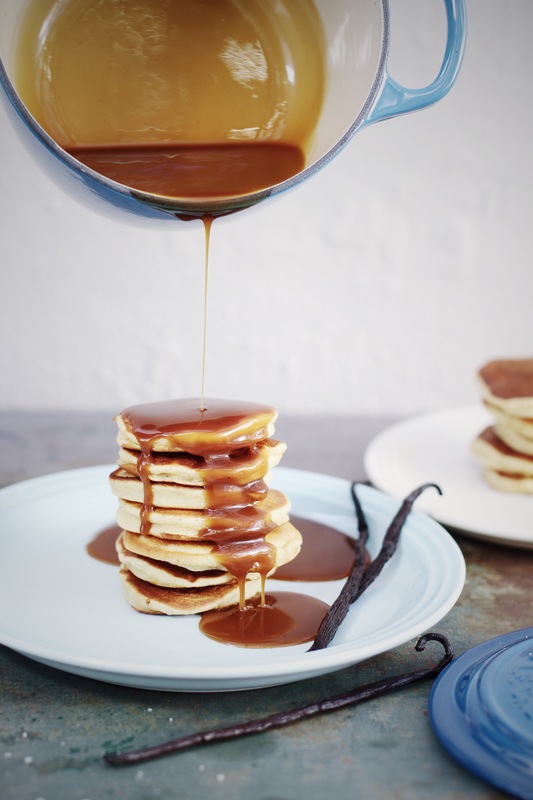 Light and fluffy with subtle vanilla moments and not so subtle salted caramel sauce. Combine coconut milk and apple cider vinegar and allow to stand for five minutes. Sift flour, baking powder and baking soda in a medium sized bowl. Whisk together coconut milk mixture, agave, vanilla and apple sauce. Add wet ingredients to dry ingredients and mix until completely combined. If batter is too stiff, add up to 1/4 cup of warm water to create a more liquid consistency. Batter should not be completely runny and still spoonable. Heat a drop of coconut oil in a non stick pan. Add one tablespoon of batter, per pancake, to the pan. Allow to cook for two minutes or until air bubbles start to form on top of pancakes. 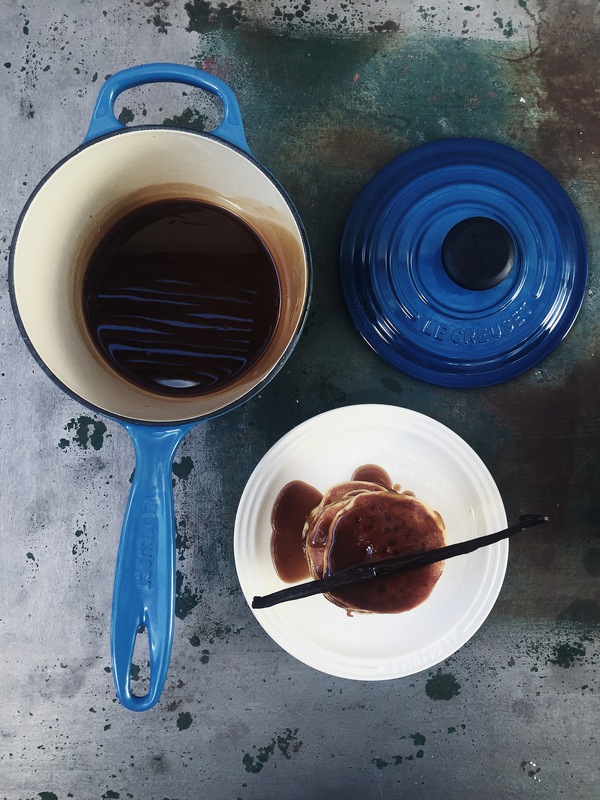 Add sugar and water to sauce pan. Allow sugar to melt over medium heat and simmer for two minutes. Add coconut milk and allow to simmer for a further 10 - 12 minutes.